There were ups and downs for Massachusetts’ gambling industry last week as executives described plans to build billion-dollar casinos in Revere and Everett and the Supreme Judicial Court ruled that voters will have the chance to ban gambling at the polls in November. Following last week’s decision by the Supreme Judicial Court to hold a referendum on casino gambling, mayors in the state are hoping that it won’t pass. The two cities are now concerned that they will not have the chance to benefit from the $25 million each year promised by Mohegan Sun and Wynn Resorts. Mohegan Sun has promised to give Revere more than $100 million over the first four years as well as spend at least $45 million on roadway improvements. 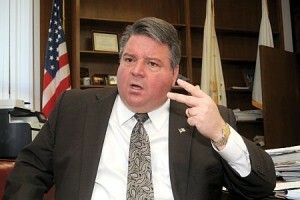 Everett’s Mayor, Carlo DeMaria Jr., believes that people would simply leave the state to gamble if casinos are banned. His city would gain more than $100 million if Wynn Resorts is granted a license and DeMaria believes that people will see this as a jobs bill. All hope is not lost for the casino developments, voters in each city have come out overwhelmingly in support of casinos in previous referendums and given the amount of jobs at stake it is likely they will do so again.